The historical value of "ephemera"
Things such as fliers, event programs, or ticket stubs are typically meant to be thrown away after the event has taken place. Even if they are saved, such individual items (known in the archive and library business as "ephemera") may not have any great value. But if they are assembled into a comprehensive collection that documents a given community, place or time period, then they can suddenly become very interesting to historians and other researchers. 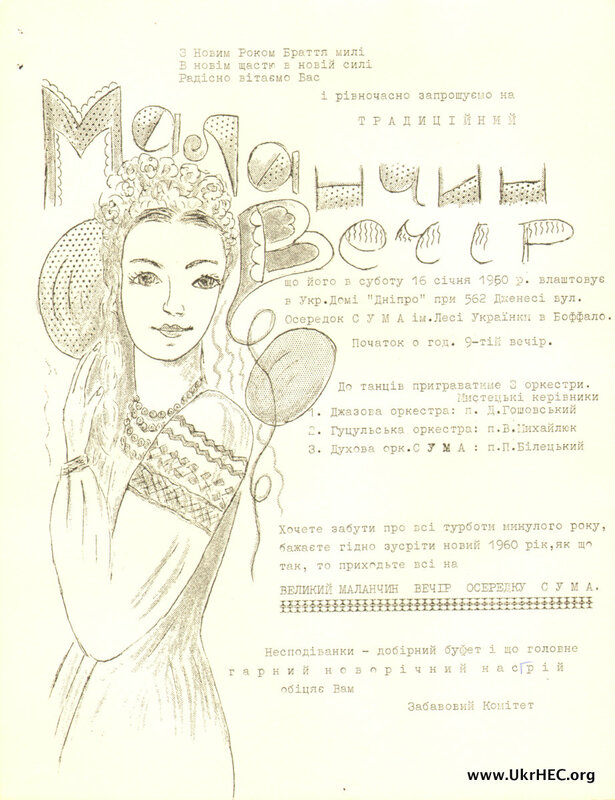 An example of such a collection is the newly-opened Oleksii Matuch Papers. 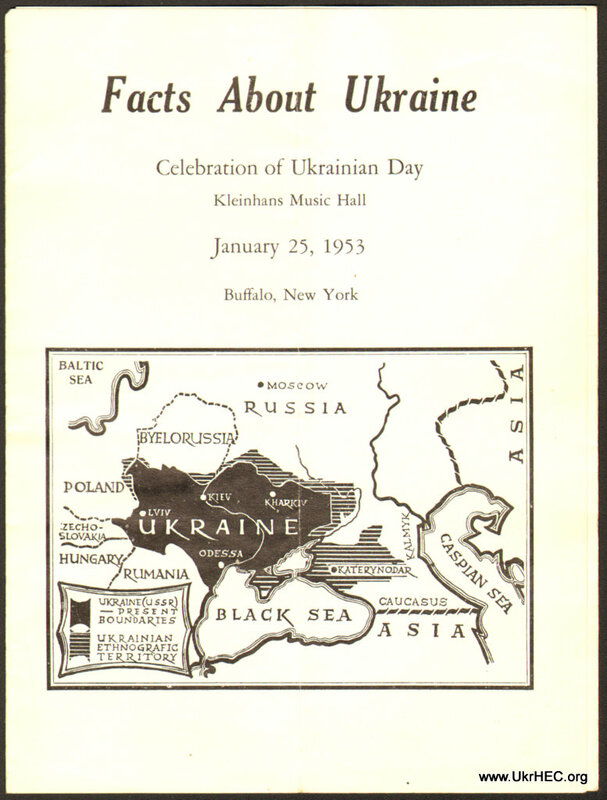 Mr. Matuch lived in Buffalo, NY, and appears to have kept a flier, program, or poster from virtually every Ukrainian-American community event that took place in the Buffalo area during the late 1950s and early 1960s. The five years on either side of 1960 was the heyday of the post-World War II "Third Wave" of Ukrainian immigration. After facing privation, fear, and extreme uncertainty in the Displaced Persons Camps of Germany, those that managed to find their way to the US were by now well established in their new home, could find good work in the booming post-war economy (for the most part), and were busy raising new families. They made good use of the community organizing skills that they had been forced to learn in the DP Camps, and created Ukrainian-American churches, youth organizations, musical groups, and political organizations of many persuasions (though nearly all, understandably, strongly anti-Communist). Matuch's collection of ephemera documents this extraordinarily active period of Ukrainian-American immigrant life in one Upstate New York community. It contains fliers, announcements, programs, and similar items from concerts, lectures, protests, dances, picnics, sporting events, film screenings, and other events, as well as bulletins and mailings from Ukrainian churches and social organizations. It is a wonderful example of how one person's collection of things that would ordinarily have been thrown away now gives us a unique look into Ukrainian-American community life half a century ago.